Dutton Books for Young Readers, 9780525423591, 112pp. The famously rotund bear is happiest when in possession of a brimming pot of honey, but when it comes time for meals and smackerels, the residents of the Hundred Acre Wood need something a little more substantial. 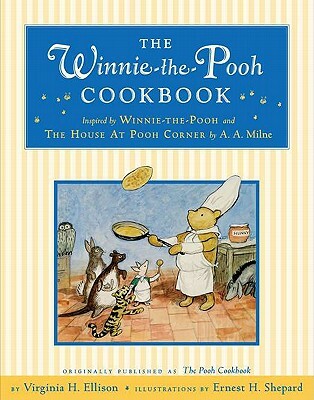 This delightful collection contains over fifty tried-and-true recipes for readers of all ages to make and enjoy, starting with Poohanpiglet pancakes and ending with a recipe for getting thin-with honey sauces, holiday treats, and dishes for every mealtime in between. Forty years after its original publication, this updated and beautifully redesigned cookbook features quotes from the original books and Ernest H. Shepard's beloved drawings, which leap off the pages in full color.